Before I cut the tree down. 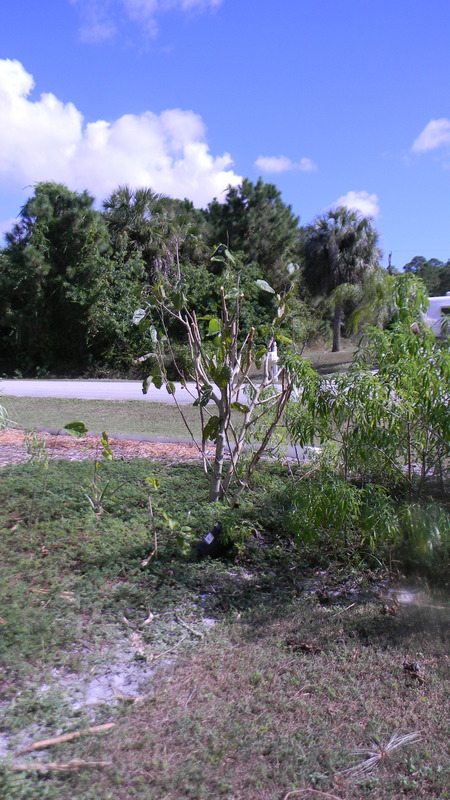 After I cut the tree back. 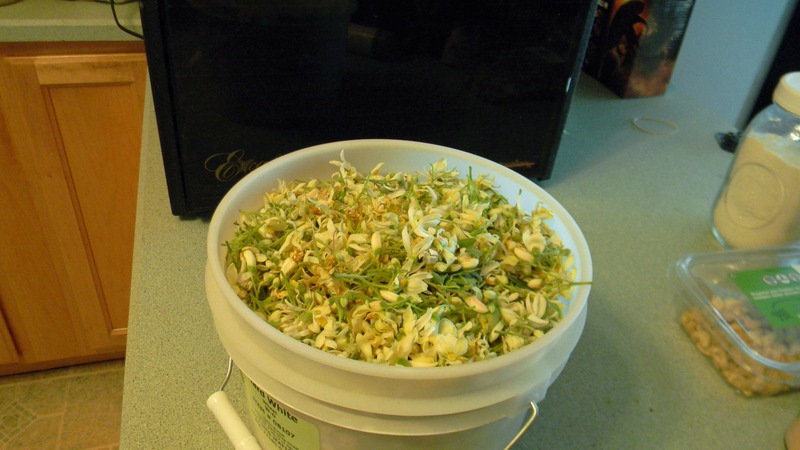 When I went out to trim my front yard moringa and pick flowers to dehydrate I realized that I had let it get way to spindly and decided to completely cut it back. WHAT a job that was. I did end up with a 3 gallon bucket full of flowers though. 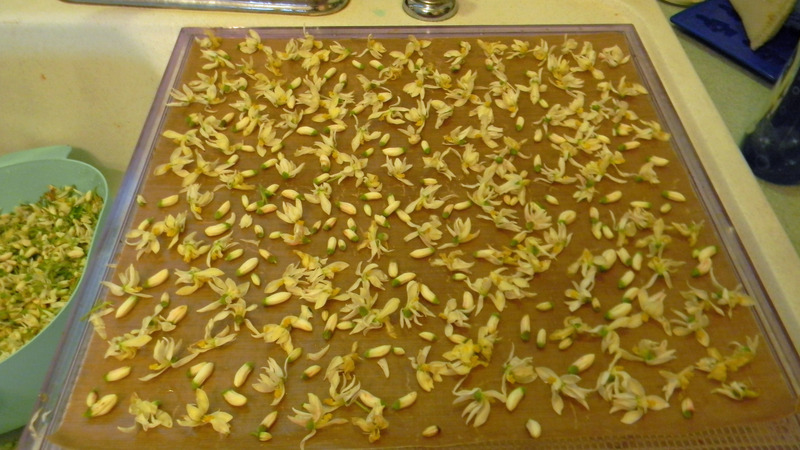 I dehydrated the flowers and most of the buds for tea along with some lemon grass. I really like this combination. My friend loaned me her Excalibur dehydrator and I am so thankful. I had all 9 shelves loaded. 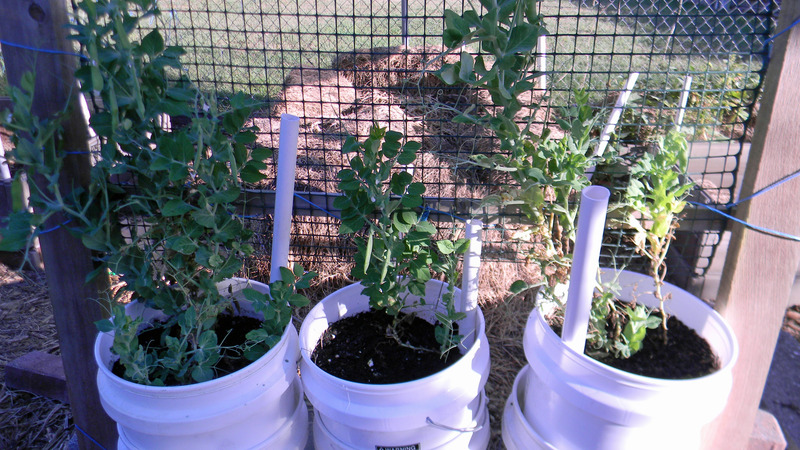 My peas are loving the food grade buckets that I have them in. They however, are not enjoying the record-breaking highs we are experiencing in Florida right now. I hope it cools down soon. 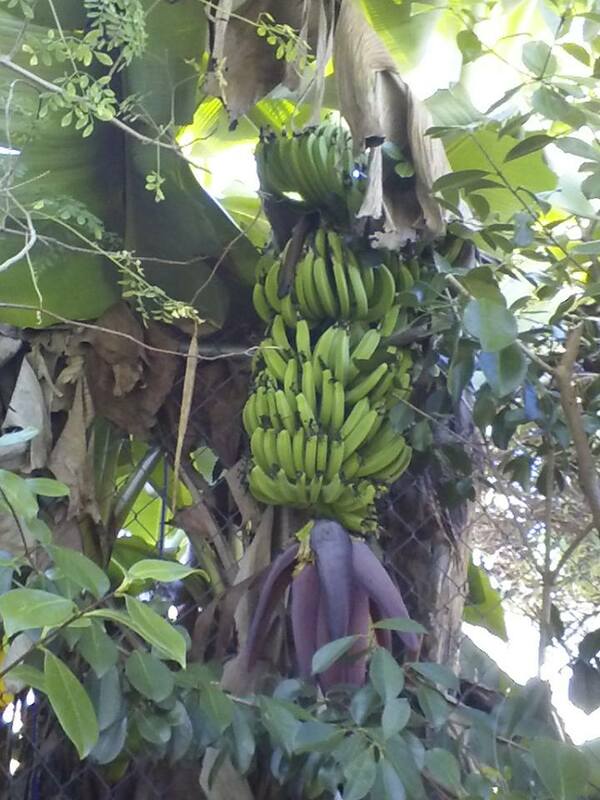 I discovered a bunch of bananas on my larger tree. 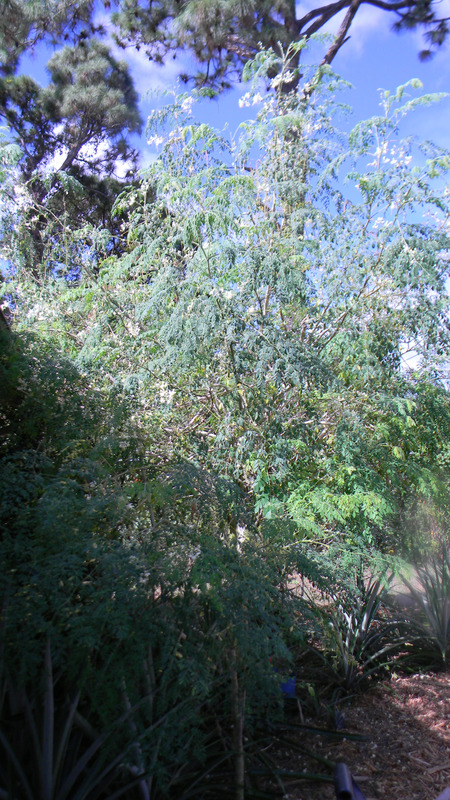 I figured it was ready to bloom but didn’t see it as it was covered by the moringa and guava trees. The transplants are also doing well. 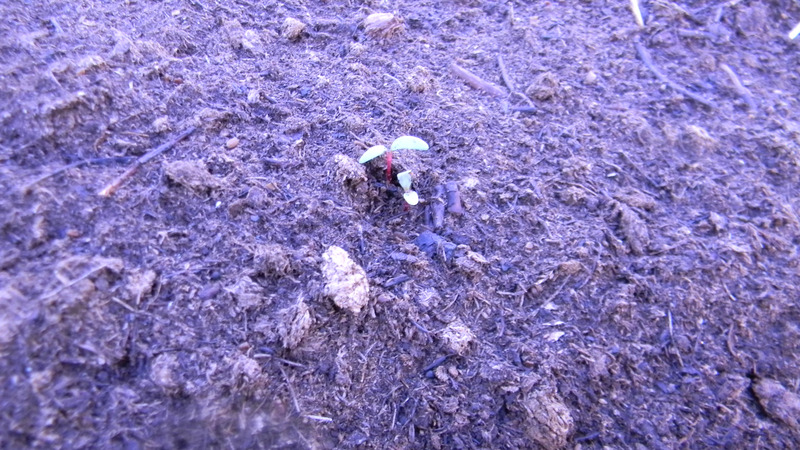 I planted some beet seeds and they are beginning to poke their heads above the soil. 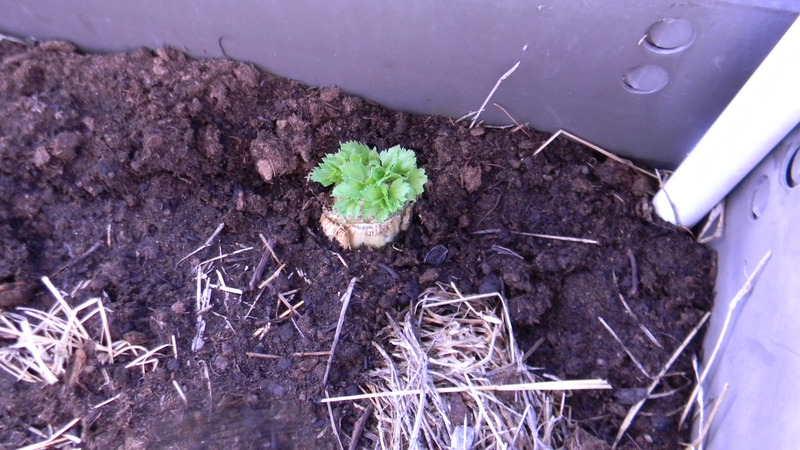 I also was able to remember to plant one of my celery ends before it shriveled up. 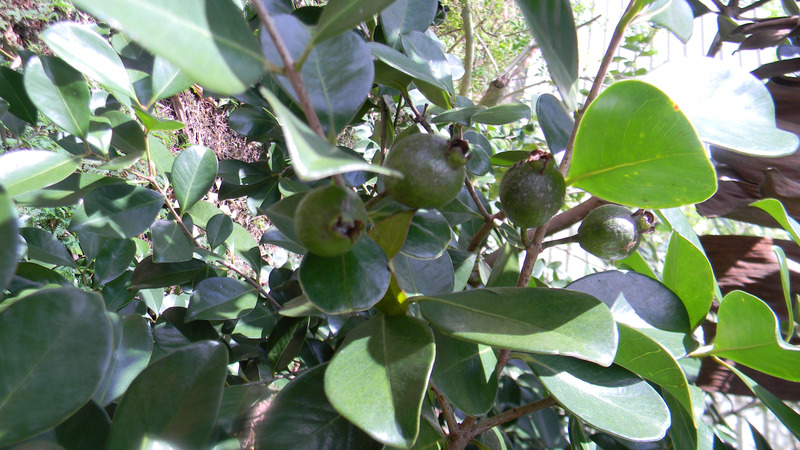 I have 5 guavas now, one of which is a white guava. I Can’t wait to see how it does. My largest strawberry guava tree bloomed around July, I think the birds feasted on most of those and now it has decided to produce fruit again. I have never had a guava tree fruit this late in the season. 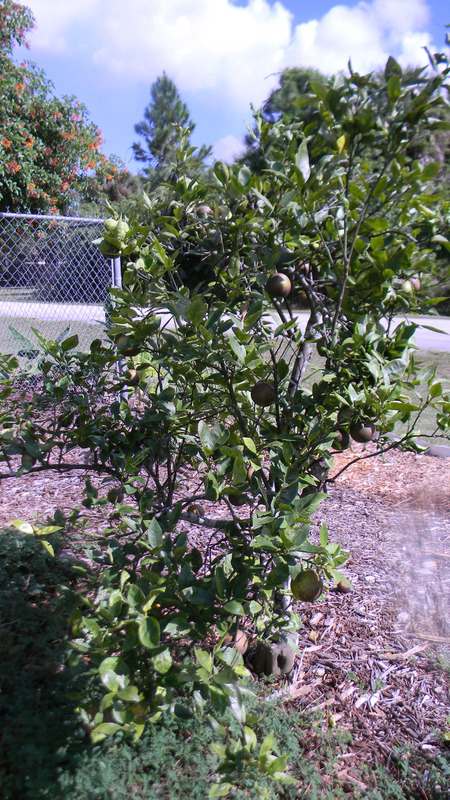 The one citrus I have is coming back slowly year after year and it is loaded with oranges. 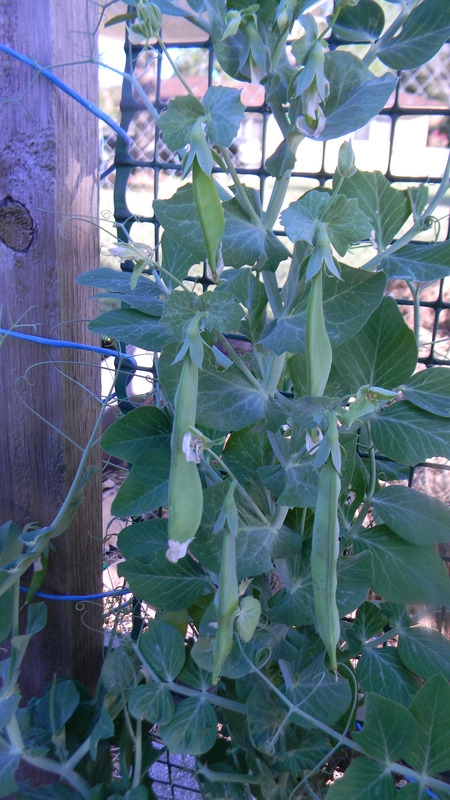 I am hoping they will be as sweet as the ones last year. 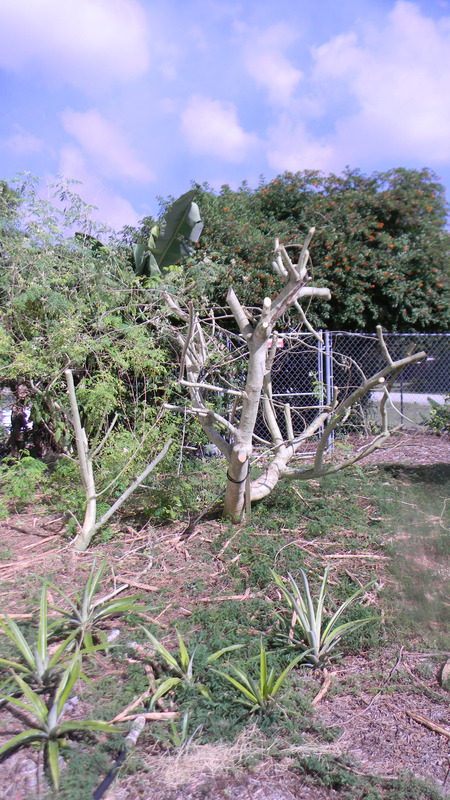 My large mulberry got quite out of control along with my moringa so I chopped it back also. 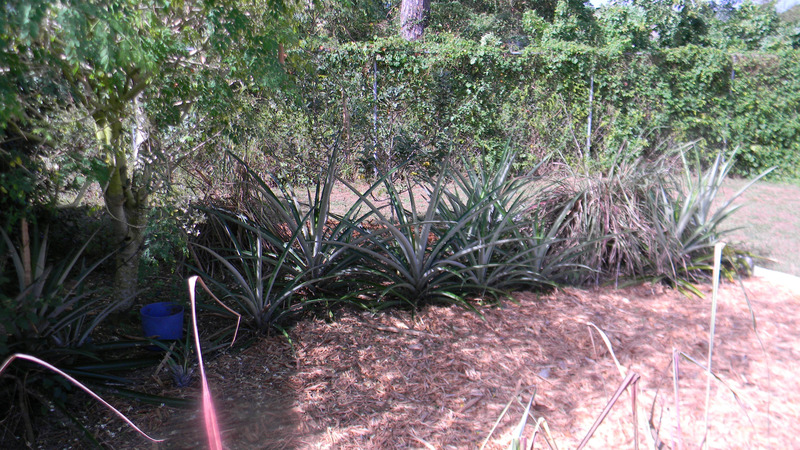 I have one lonely pineapple this November, which I believe is late to bloom. 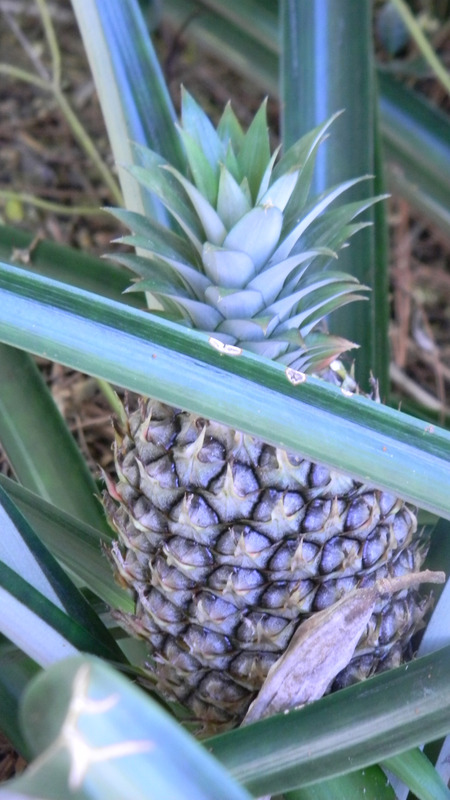 I had several pineapples this summer. All of my pineapple plants are doing so good! 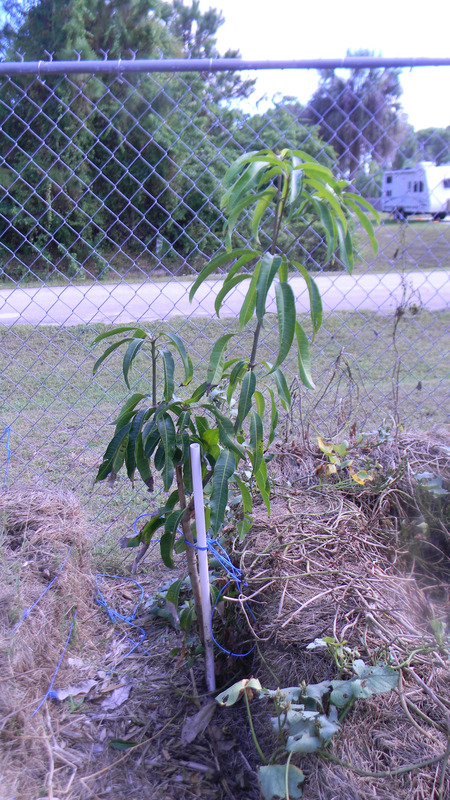 Last but not least, my mango tree is doing great. This grew from a seed I had in some compost. It started leaning so I had to stake it up. 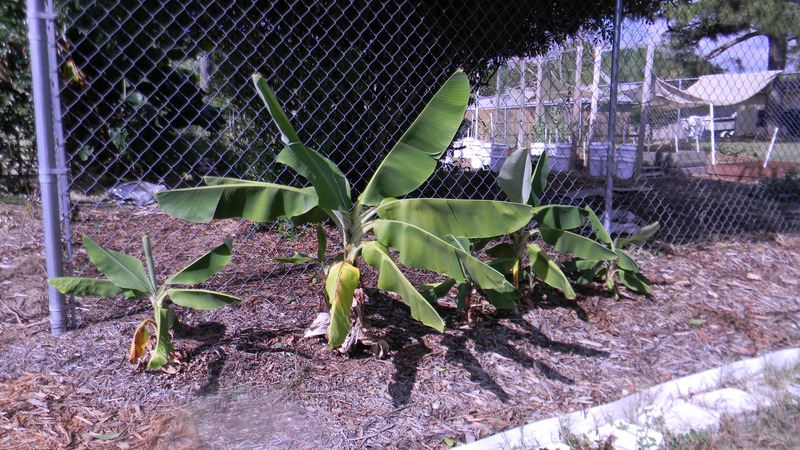 This entry was posted in Gardening and tagged bananas, gardening, Gardening Central Florida, Grow Bucket Gardening, Moringa, moringa flower tea, Moringa trees. Bookmark the permalink.